The riding centre has been recommended by Ian Stark, in his English magazine "Horse and Hound", for the care with which we follow the students and for the preparation of the horses. The beginners commence gradually in groups with a maximum of 3 students, with calm and reliable horses suitable for even the most timid of students. The middle level gains a solid base for mounting a horse with particular attention to the disposition of the rider, to working on the flat and slopes to the technical characteristics. The advanced level practices the balance technique on the horse and refinement by helping the rider whether it is jumping, in handling and in the countryside, and that of dressage. For those more expert it is possible to opt for individual lessons, but given the care with which we follow our students, these are considered for only those who really have an advanced level. 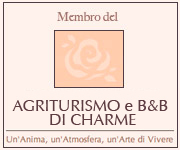 The information supplied by clients will be used only by the web-site www.chiantiriding.it and by the owner of Centro Ippico della Berardenga and for other web-sites eventually consulted by the user via links. The collection of personal data on-line, and in particular, the method, the time and nature of the information that the owner uses for the treatment and supply to the user when these are connected to an independent web page. None of the data derived from the web service will be communicated or diffused. The personal data supplied by the user who forwards a request to send information material (such as newsletters etc.) is used only to supply the service or services requested. The optional dispatch, explicit or voluntary by electronic post and the address indicated on this site involve the successful acquisition of the senders address, and necessary for the reply to the request, as well as the eventual other personal date inserted in the message. The user is free to supply personal details in the request form to the Centro Ippico della Beradenga or however indicated in the contact to ask for information and other communication. The non confirmation could involve the impossibility to keep the request. The personal data is treated with automatic instrumentation for the short time necessary to consign the information for which it has been collected. Specific measures of security are observed to prevent the lost of the data, illicit use and incorrect or non authorized access. The use of the text and/or images contained in this site, totally or partially, without previous authorization are prohibited. For the use of each image and text an agreement must be made in advance. The context of this page and all the context of the site www.chiantiriding.it (text, images etc.) are the total property of Webmaster and are subject to 'Reproduction Rights'; it is forbidden, as per the Law 633/41, the reproduction, also partially, without our explicit written authorization.